Each mass of pack ice which floats around Conche Harbour in Newfoundland, Canada displays its own formations as the summer sun shines down upon this town. 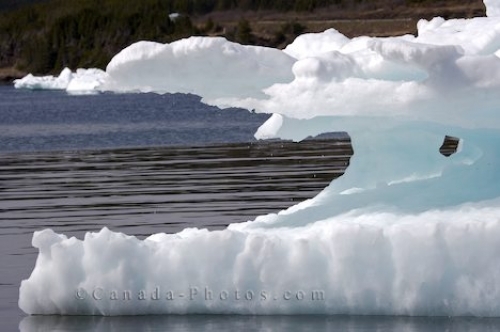 Where the pack ice becomes thinner, holes begin to form, eventually making the pack ice smaller every second throughout the day. Picture of the pack ice formations in Conche Harbour along the French Shore in Newfoundland, Canada.